Upton Engineering has made a long term commitment to building the best irrigation equipment that it possibly can using high design inputs, state of the art manufacturing and a customer service focus, says the company’s chief executive Paul Upton. Today the business has hundreds of centre pivot and lateral move irrigators to water areas up to 80 hectares. Mr Upton said irrigator choices on offer also included the Pierce equipment range from America, for which Upton Engineering was the Australian distributor. However, with the falling Australian dollar and rising US dollar, the purchase cost of a lot of imported irrigation equipment was starting to “significantly” increase. “The Pierce centre pivot and lateral move range offers galvanised steel and also poly lined pipework, making these machines an appropriate choice for applications where aggressive water quality may be a factor,” Mr Upton said. “The locally designed and fabricated Upton centre pivot or lateral range is built from marine grade aluminium pipework which overcomes the corrosion issues. “Our philosophy is to offer machines with a potential working life of 30 years. “We believe the corrosion resistance of marine grade aluminium, together with the stainless steel pipe- work, control boxes and other fitting that we use provides this assurance.” Mr Upton said the company had even upgraded its gasket material from rubber to the more expensive urethane to provide a longer reliable working life. “This is what our farmer clients tell us they prefer,” he said. 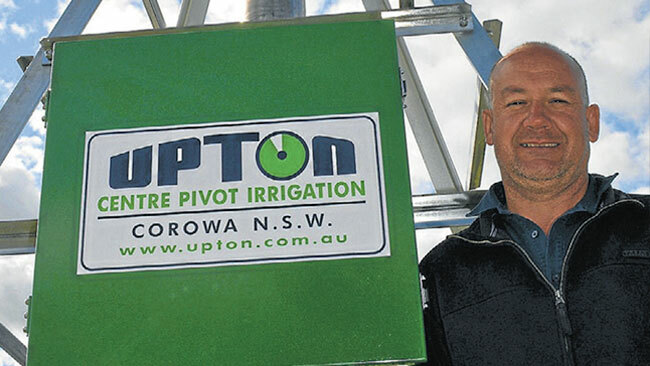 Mr Upton said the order book for the Corowa-based production centre was pretty full with irrigators going to clients across Australia including a number that are repeat orders from local farmers and producers. 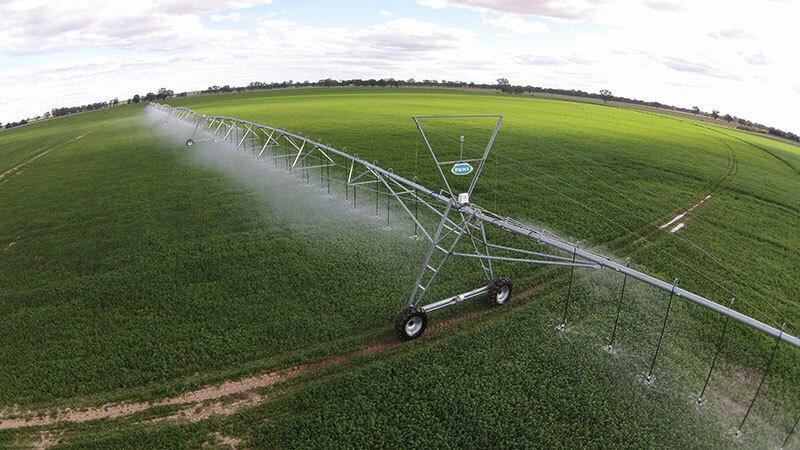 “A number of Upton centre pivots in the Riverina are in fact farming operations with multiple numbers of our irrigators most with an individual centre pivot coverage of 60ha being quite common. 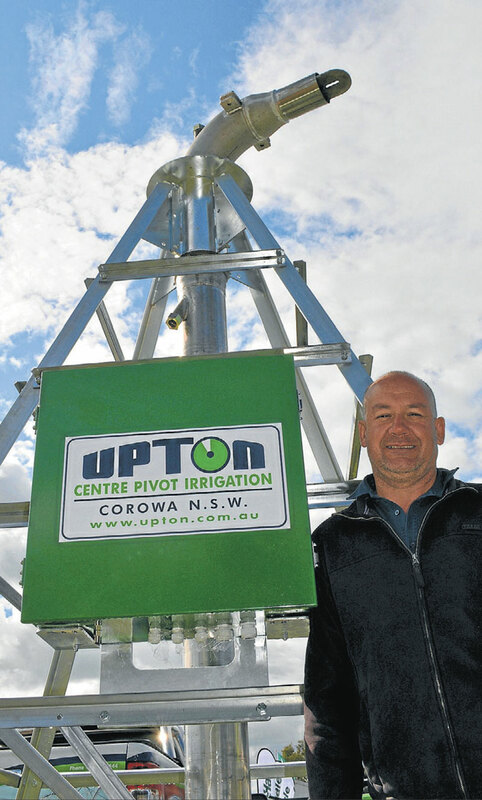 Upton Engineering also provides an Australia-wide delivery and erection service for its centre pivot and lateral move irrigators as well as a complete service back up. Mr Upton said the company worked with its clients to design, build and install site specific centre pivot or lateral move irrigation systems.